You don’t have to go to London to get street food. Go to Urban Night Feast instead. (Don’t you love the phrase ‘street food’? To me, it sounds all grungy, smoky and messy while a crowd of eclectic people much on tasty morsels). 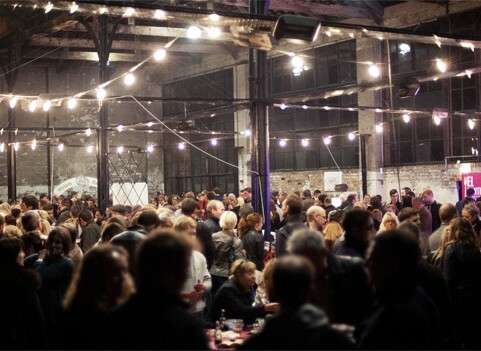 Urban Night Feast ‘brings together some of the UK’s best street vendors and chefs in the North East’s night food market’ from the 3rd – 5th October at The Boiler Shop (The Robert Stephenson Centre). It launched for the first time last year and was a huge success. 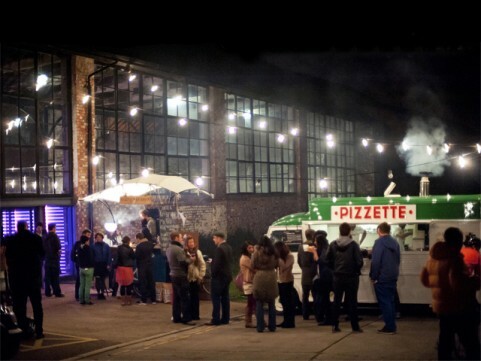 The ambiance of the location is fantastic, and it’s a great opportunity to try food from restaurants you have wanted to visit but never have got round to, and to also try new, exciting vendors like Luardos (London-based Mexican street food) and Fish Dog (for the perfect fish-finger sandwich). As well as Purl, a pop-up cocktail pod from Marylebone, London, who is hosting cocktail masterclasses that venture into the weird and wonderful! Really, this event is the height of food-fashion in the North East. You are going to be wined, dined and absolutely spoiled! MrJ whole-heartedly recommends The Rib Man, but beware of his crazy hot sauces! MrJ did not heed this warning at Street Spice Festival, and suffered for it the next day as his stomach was a fiery furnace! My mouth is already watering looking at the list of vendors who will be supplying all the delicious grub at Urban Night Feast. I love the look of Big Apple HotDogs‘ NYC-style hot dog cart and Horn Ok Please who are selling veggie Indian street food. This is an event that is not to be missed! With amazing chefs and vendors from around the North East and London, it is going to be spectacular. You can follow Urban Night Feast on Twitter, and view their website here. *images are from Urban Night Feast’s website and are used with their permission.